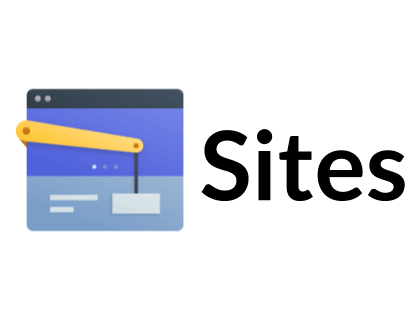 Learn more about Zoho Sites website builder to create your own small business website. Includes pricing, reviews, company info, and answers to common questions. Zoho Sites is a website builder that allows you to create a website for free without coding knowledge or technical expertise. Pros: Simple to use, wide array of tools, well-designed templates. Cons: Configuration can be tricky for first-timers. Bottomline: Easy to use website builder to create and launch a business website fast. What is the price range of Zoho Sites? Zoho Sites ranges from free to $36.00 per site, depending on the size of your business and needs. What kind of features does Zoho Sites offer? Zoho Sites website maker offers file storage, built-in social sharing, responsive templates, customization, and free website hosting, among other features. All Zoho websites are also ad-free. Does Zoho Sites integrate with other apps? Yes, the free website builder seamlessly integrates with other Zoho apps, such as Zoho CRM, to help you manage your business efficiently. How can I get in touch with Zoho Sites support? You can reach the Zoho Sites customer service team by calling 1 (877) 834-04428 / 1( 888) 900-9646, or submitting a request online. Check out the Zoho support page to find tutorials on how to create a website. What are some Zoho Sites alternatives? Wordpress is far better than Zoho Sites in every way. The only good thing about Sites is that it's free. Zoho Sites is more in the category of Wix, Sitey, Squarespace and similar - drag 'n drop web site tools where you don't need to learn Wordpress, or CSS or HTML. I have several sites on Zoho Sites, and my blog is at wordpress.com, and I have other wordpress.org sites at Bluehost. I like the ease of Zoho Sites, but that comes with creative limitations. I like the power of Wordpress.org and the range of plugins, but I find it counter-intuitive to learn. I find Wordpress.com easier for my blog, but I'm limited to the plugins they make available. I use their service and have no complaints about it. I have multiple domains and they make it easy to manage it all from one account. I pay for the subscription but the free one works just as well. We’ve used it for the past couple years and have had no complaints at all with it. Mainly used the CRM portion (really only the sales order area within it) among ~30 people and it worked great for us.For the cost, flexibility, customization, etc. - it seems like no other solution could match it for the price. Their code is bad, their support is worse, and their app UX is bad as well. They lied to one of my clients about their features, he moved to Zoho with all his stuff, I looked at the API, did some tests, instantly told him: "pull the plug asap..."
Amazingly easy to build a website with Zoho Sites. Absolutely great to work with this free site builder from Zoho.